Raymond Schleider was not an easily forgettable man. In fact, some of his peers consider him a legend on Long Island. In a construction industry universe presided over by national and international firms, R. Schleider Contracting Corp. was one of the little guys. The Long Island company typically employed seven or eight employees. It operated a small sand and gravel quarry. Projects were hardly monumental, mostly site preparation work. Middling stuff. Yet Raymond Schleider was not an easily forgettable man. In fact, some of his peers consider him a legend on Long Island. 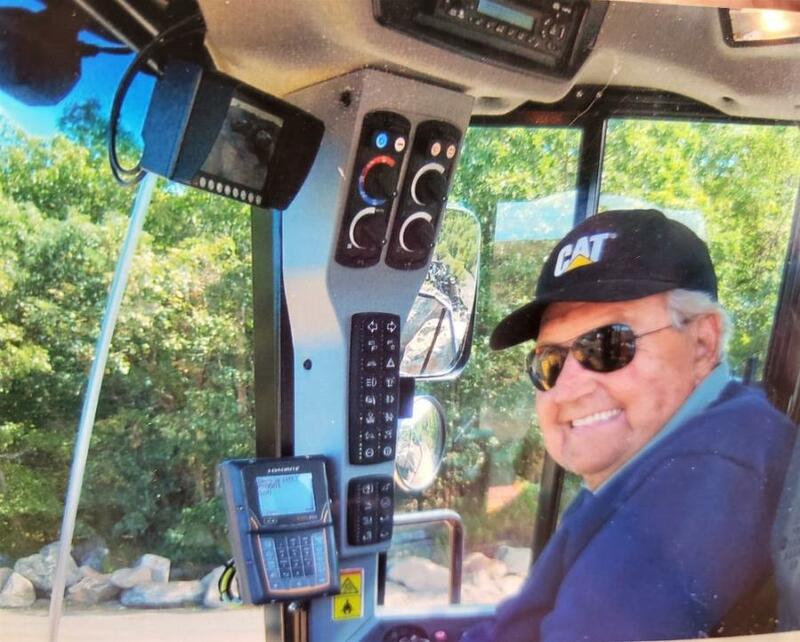 "Ray was one of the truly great guys who make this industry so great," said Doug Mingst, a manager of Ritchie Bros. Auctioneers whose territory includes New York City and the rest of Long Island. "He was loved and respected by so many people, from the largest of the island's contractors to the smallest." Mingst helped disperse heavy equipment from the Schleider estate following the company founder's death last July at age 90 after a workplace fall. Schleider had toiled at his namesake business for almost 50 years. Said Mingst: "He worked every day, moving dirt, not because he needed to work but because he loved what he did." Schleider's long tenure in a driver's seat reflected an attitude developed as a young man and shared repeatedly with his stepdaughter, Paula Censori. As she recalls, "He always said, ‘Do what you like to do and it will never be work.'" And it wasn't just talk. "He was an early riser and always was there on the job," she said. "I admired that and took his example with me no matter what job I did." Schleider learned how to work at home in Floral Park, L.I., one of seven children of a potato-farming couple. Before he realized he loved to move dirt, he tried other occupations, including a short stint in the U.S. Army during World War II. Then he tried out for professional baseball. "I don't know how he got involved in baseball," Censori said, noting that Schleider didn't even finish high school, "but he always loved baseball." Following his own career philosophy, Schleider decided to turn his love of the sport into full-time work. He suited up for one season, 1945, with the Thomasville Dodgers of the North Carolina State League. The Class D franchise was a Brooklyn Dodgers farm club. The position he played isn't known, but the then-25-year-old ballplayer compiled a .233 batting average, getting 28 hits in 120 at bats over 35 games. He never struck out, not once, always making contact, which might be another example of showing up for work. Two of his teammates went on to play in the majors. His baseball career over, Schleider returned to Long Island and soon got into construction. "He had nothing," Censori said, "and one of his brothers, Herbie, loaned him some money to buy a truck. It was a Mack truck, he told me, and he sat on a milk crate to drive it." R. Schleider Contracting eventually took on demolition jobs and opened a 24-acre quarry. Along the way, the company acquired dirt-moving equipment and Schleider soon became as enamored of heavy machinery as he was of baseball. "He loved his big machines," his daughter said. "but it had to be a Caterpillar. He had a saying, ‘If it's not a Cat, it's a dog.'" He continued to accumulate heavy machinery the same way some people do baseball cards — just to have them. Watral Construction's Caterpillar 385 excavator pulls the Caterpillar D8 dozer from Ray Schleider's quarry to the Long Island Antique Power Association museum. "He loved big iron," said Rob Watral of Watral Construction, another Long Island contracting firm. Watral grew up around construction work and, as a six-year-old, first met Schleider. "He always said iron was in his blood. He loved his equipment and took care of it. He seemed to have an endless budget for making his equipment run," he said. Mingst laughs about the sheer volume of Schleider's machinery trading. "Here's the unique thing: He bought and sold so much equipment you didn't know how much he had. He just had a ton of equipment, buying it and selling it, rebuilding it and selling it." Mingst rattled off some of the models of Caterpillar machinery Schleider owned at one time or another — 365 and 385 excavators; 908 and 992 wheel loaders; D400 haul trucks; and a cherished 980 wheel loader. "The 980 loader was the love of his life," Mingst said of the venerable Cat wheel loader line that dates back to 1970. The massive loader is nearly 30 ft. long and 13 ft. high, has 270 horses under its hood and an 11-ft.-wide bucket upfront. In his later years, Schleider fashioned a set of stairs so he could more easily reach the cab of the machine. It was from those stairs that he fell, at age 90, and severely injured himself. "It was extremely sad, of course," Mingst said, "but if you knew Ray you knew it truly was the way he wanted to go. He loved what he did so much." His daughter feels the same way. "He was happiest on his payloader. When he was out on it moving dirt and mixing up soil, he liked to say he was making his pasta fazool." That is, he was doing the earthmoving equivalent of preparing an Italian soup more formally called pasta e fagioli. Most of the company's dirt-moving was site preparation work rather than, say, road construction. Schleider also contracted to demolish whatever structures needed taken down, including the Suffolk Meadows race track near Yaphank in 1986. Watral called Schleider something of a visionary for being open to working at a variety of tasks. For example, he credits Schleider for being among the first contractors on Long Island to get into materials recycling. Censori also testifies to her stepfather's active mind. "He was always thinking about things he could do. He always was thinking about solutions and how to fix things. He got a lot of satisfaction from it." Mingst was asked if he would characterize Schleider as a big-picture guy or just a mechanic and tinkerer. "All of the above," he said. "He was an inventor, a mechanic, a MacGyver type of guy. He could do it all. Make something out of nothing." Watral concurs and admits to being influenced by Schleider in his own work. "I learned a lot from him. I make my own stuff a lot and I often think of him and how he would do it." Everything considered, Ray Schleider was a self-made man, a hard-worker who was somewhat eccentric in his enthusiasms, and a successful businessman. Yet a larger legacy seems to be his philanthropic and community work, much of it private. 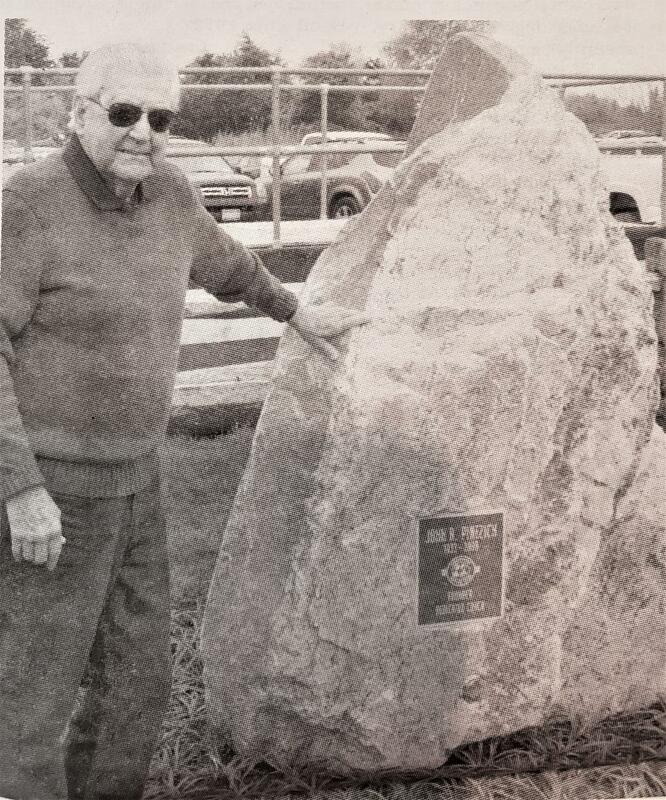 Raymond Schleider's more public contributions were the boulders he extracted from the earth and donated to fire houses and other public properties as ornamental bases for plaques honoring people and events. His more public contributions were the boulders he extracted from the earth and donated to fire houses and other public properties as ornamental bases for plaques honoring people and events. The big rocks are, said Censori, scattered all over Long Island. He also donated granular rock — that is, sand — to Kings Park officials for spreading on city streets during snow storms. He and his wife Loretta — who passed away three years before her husband — were financial supporters of Kings Park's periodic gatherings in the center of town where musical groups and individuals perform. They also contributed significantly to The Arthritis Foundation, at one point, funding a research library for the national organization. Schleider was "very generous," Censori said. "Very, very generous. He once had nothing himself and he wanted to help out everybody he could. For example, he would go out to the farming areas of the island and buy bags of tomatoes and bring them back to give them out to hungry people. He would say this worked out perfectly for everyone: The farmer wins, people who get the tomatoes win, and he felt good, too. He always wanted to give." His generosity extended to offering people a chance to work. Mingst recalls that Schleider "put a lot of people to work, people who other employers wouldn't hire, starting them out as equipment operators. Many people sort of got their start from Ray." Censori attributed her stepfather's readiness to employ strangers to his feelings about people needing a break. "He liked people and he liked the underdog. He always liked the underdog. A young man would come in the quarry and he'd say, ‘Oh, you want to try running that machine?' A man could get a start with him and then go on and work somewhere else, all over the island. He gave a lot of people that chance." Was this impulse to help others grounded in religious faith? No, said Censori, "my mother was really more religious. He just wanted to help people, anybody. He didn't need to be seen doing it either. He didn't need recognition for it." Schleider loved something besides machinery and people, his step-daughter adds. He loved his country. "He was extremely patriotic. Oh, my goodness, he so loved his country. He always flew the American flag. He loved America." Upon his death, Mingst began to sort through his estate and disperse the company's heavy equipment. "This was a different dispersal for me," said Mingst, who brought to the task the perspective of a 30-year veteran of the industry. "Ray had quite a few machines, some new, some old. As I went through each machine, piece by piece, I decided it would be fitting to honor this true legend." 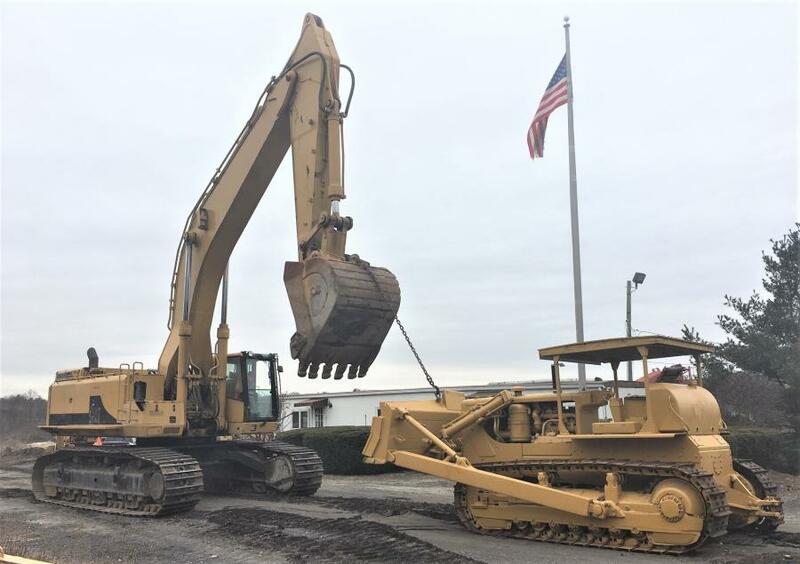 So, with the estate's permission, instead of selling an old D8 Caterpillar bulldozer for a few thousand dollars, he contacted Steve Barker, president of the Long Island Antique Power Association, and asked if the museum would be interested in acquiring the dozer. "Steve was all over it," he recalls. The association is dedicated to preserving the memory of vintage tractors — both farm and construction — and did not have a Caterpillar machine in its inventory. For his part, Barker said he became acquainted with Schleider as a teenager when he accompanied his father to the Schleider quarry. Barker also knows a man who worked for Schleider and who enjoyed his time as an employee there. "I didn't really know Mr. Schleider," Barker said, "but I never heard a bad thing about him." While Schleider may not have a boulder with his name on a plaque somewhere around Kings Park, he will have a 235-hp 1960 D8 bulldozer rumbling around the five-acre museum grounds with the Schleider name prominently displayed on its roof. "They asked us to leave that," Barker said. Mingst asked Watral to help move the dozer from the quarry, where it was basically a yard ornament, to the museum, where it will be a rolling piece of history. Watral brought in a flatbed and a Cat 385 excavator to drag the dozer onto the trailer and haul it to his equipment yard. He is getting the dozer running again before transferring it on to the museum grounds. "It's been sitting a while. It just needs a little work." In the end, though, Schleider's story isn't about machines, Mingst said. "I don't want to see Ray get forgotten. He was just too good a guy. This is about a great individual, a man who gave so much to his business and to the industry."